Oslo is the largest "landmark" of Norway. 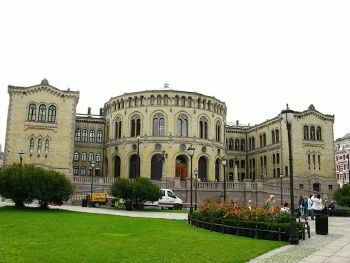 Any visitor who first comes to Oslo should definitely visit a number of main and most popular tourist attractions. Its diverse palette of picturesque northern landscapes, architectural structures, and feeling of a unique atmosphere will conquer even the most severe critique. You should mind that there are hundreds of rentals around Europe and even in Oslo, but not so many are ready to provide you with the help you might need. Since we believe that customers satisfaction is based on the provided help through their requests, we have prepared ourselves to be ready 24/7 to answer, guide and support you in any query. Our professional CS staff will do their best to make your order easy and even pleasant. Do not hesitate to entrust us with your details and we promise a minivan with a driver to be waiting at the moment you step in into Oslo. Vigelandsparken - the most visited sight of Oslo the local residents here are not less than tourists. 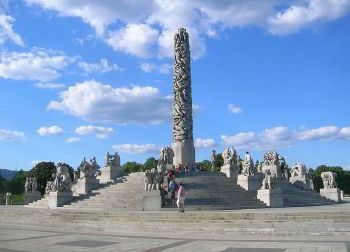 There are more than two hundred original sculptures created by Gustav Vigeland. The entrance is free. The park can be visited every day. The castle and fortress of Akershus were built in the 13th century. Today, this massive building is located in the heart of the capital and it is a pearl of the castle architecture of the country. There is a magnificent view of the harbor and the entire eastern coast of Oslo can be seen from here. Museum of Viking ships. In addition to the ships, there is a large number of other equipment in the museum, which Vikings used. The Opera and Ballet Theater is a state-of-the-art architectural structure made of glass and marble. World-class performances of opera and ballet are performed on the stage of this place. The building entrance is free. A stunning panorama of Oslo opens from the roof. There is a museum of natural science is in the eastern part of the capital. This is a series of buildings, thematically combined. The Art Gallery is also one of the most popular tourist attractions in Oslo. Here is the most extensive collection of the best examples of paintings, sculptures, and graphics. A good and fast minibus can be ordered through our minibus hire service. It is possible to book one of them on our company's website in a few minutes. Minivans are modern and stylish models, they are very fast and safe at the same time. 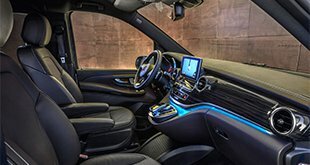 The offered minivans are cozy with clean interiors, there are all necessary amenities that will make passengers feel very comfortable. 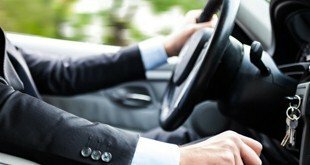 We must pay your attention to the fact that our minivans come always with professional chauffeurs. We consider this service as one of the main advantages of the company. They not only have a long driving experience and know all the streets of amazing Oslo but they are also very responsible, conscientious, punctual and friendly. They even speak at least one of the internationally recognized languages. Come along and use 8rental car and chauffeur hire services and you will never want to look for other rentals options!